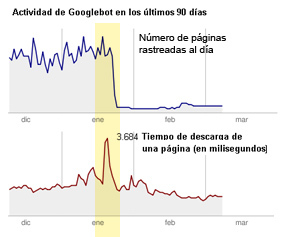 Lunes, marzo 16th, 2009 a las 2009-03-16T16:45:04+00:000000000431200903	en SEO. Both comments and pings are currently closed. Dios mio, casí­ dos meses sin escribir! En Grupo Intercom algunos sites se han topado con el mismo problema. El motivo ha sido un defecto en el hardware del server, una vez se ha cambiado el problema ha sido resuelto. @sergio: Sí­, ya vi en un hilo de webmasters de google que en jobisjob también habéis tenido el mismo problema. ¿Pero el problema ha sido del hardware de Google? 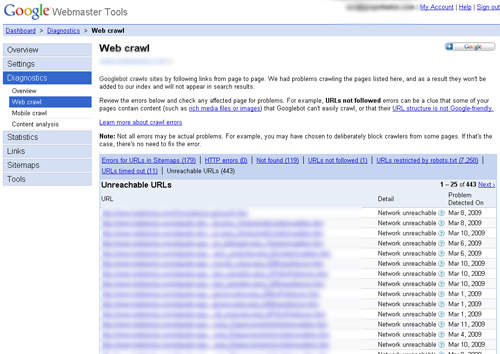 I too got this message from Google stating “robots.txt unreachable” and “Network unreachable” for 4 URLs of my site. When googling saw your post today, thought could ask for help on how to solve this issue. Muy buen artí­culo. Gracias, me has resuelto algunas de la dudas que tení­a sobre lo que ocurrí­a con mi site. Excellent post. I was checking constantly this weblog and I am inspired! Very useful information specially the last phase 🙂 I deal with such info a lot. I was looking for this certain information for a long time. Thanks and best of luck. and the Flordis Remotiv is one of those. adrenal fatigue supplements are different from conventional medicine lays in the spectrum which it deals with. establish the criteria to judge them by. What’s more, the global supplement market is worth close to $70 billion according to research from Euromonitor. and running with Zen Cart. The website navigation should cater to both the users and the search engine bots. turn the bulleted list formatting back on for that block of text as shown below:. this web site contains amazing and actually fine stuff in support of readers.